I don't know about you, but I feel like this year was the year of dodging ALL the rain! And let me tell you if you are certain it is not going to rain on your day IT WILL RAIN! This is exactly what happened with A+E's big day. 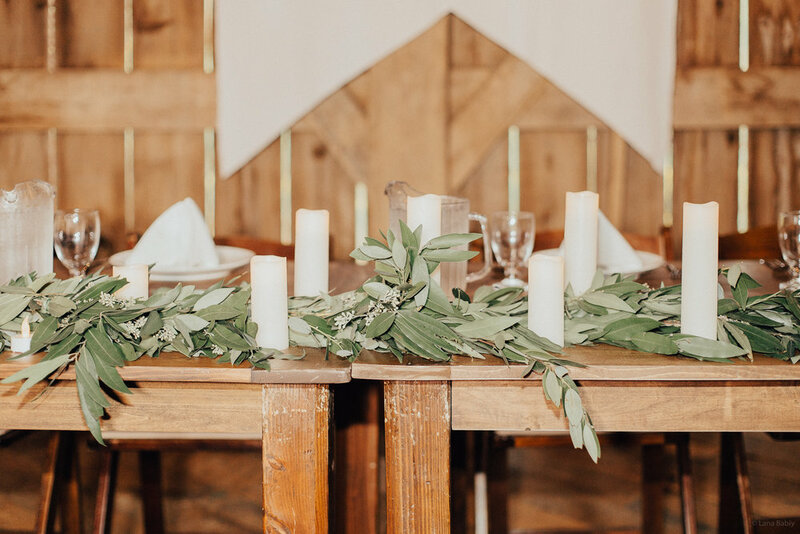 This was the one wedding day this year where it could NOT rain as they were not having a cocktail hour for us to flip the room and since we rented in all the farm tables they were already set up. But if you have ever been on a tour or we've sat down and had coffee you've probably heard me say, the rainy days are my favorite! 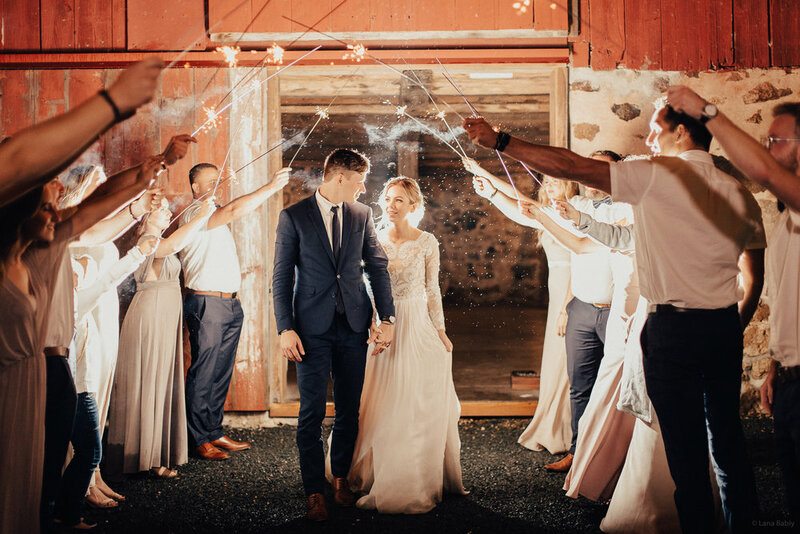 There is something about a rainy day that is so romantic is just gives us all the feels! 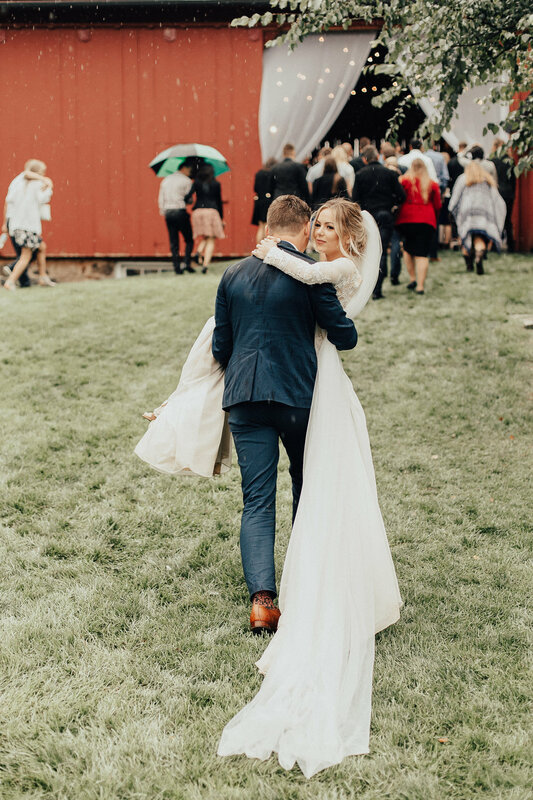 We watched the radar like a hawk for the week leading up to A+E's big day and we kept flipping where we were going to have their ceremony, in the bottom of the barn or in the front lawn. We made the decision to risk it and have the ceremony on the front lawn because our bride always wanted an outdoor wedding. So, when the ceremony time came I remember telling A+E and their pastor, "We have 15 minutes before its rains, we have to go now!" 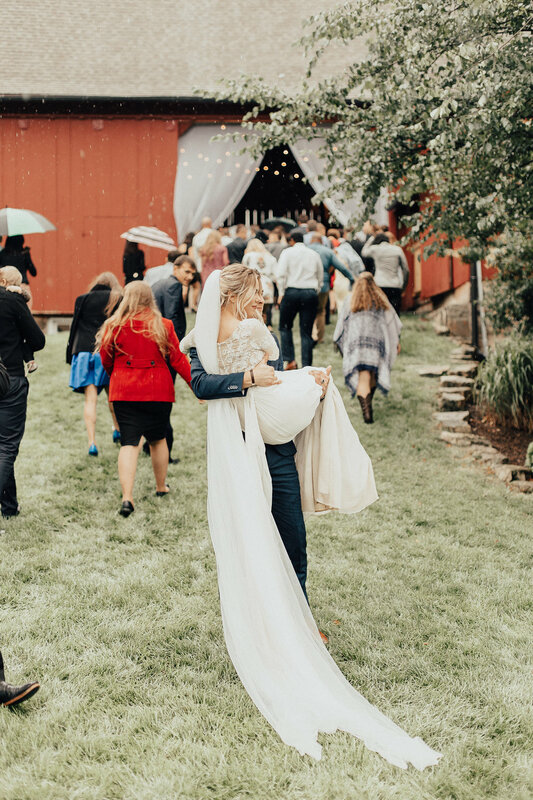 And because of the amazing planner I am (jk jk) right as A+E said "I do", the rain poured down and Lana Babiy captured some of my favorite pictures of the season of a groom carrying his bride into the barn out of the rain!